Evo & Grace: The WanderLusts: 1SA, Performing Arts goes solo. 1SA, Performing Arts goes solo. Arts in many forms is going solo this October, as Fringe Manila in partnership with The Japan Foundation brings you 1SA - Solo Arts Platform, that will celebrate solo artists and present their works on the Philippine stage in this year’s Museums and Galleries Month, coming this October 20-28, 2018 at Power Mac Center Spotlight Theatre and Pineapple Lab. 1SA Creative Director Andrei Nikolai Pamintuan declare that this pioneer festival is a newest platform or venue that explores various mediums or artistic expressions coin from its title itself “one” or solo, they aim to presents solo artists thru performing arts and exhibits. 1SA inaugurates international artists like multimedia performance artist Takao Kawaguchi with his piece, About Kazuo Ohno: Reliving the Butoh Diva’s Masterpieces, Filipino-Canadian director and cinematographer Mark Valino, whose dance video series Moments of Movement will be on exhibition for 1SA. 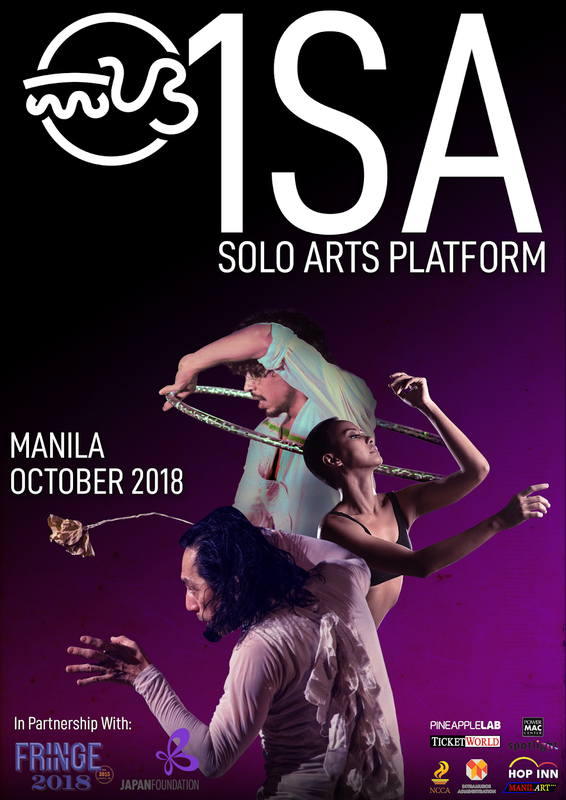 They also restaging Dulaang UP’s ang dalagita’y ‘sang bagay na di-buo featuring Skyzx Labastilla, Filipino-American hoop artist Daniel Darwin also returns to the Fringe stage with his endurance piece, Dance Until You Shatter Yourself. Founder of Daloy Dance Company Ea Torrado presents an autobiographical dance piece on race and beauty in the form of Brown Madonna. 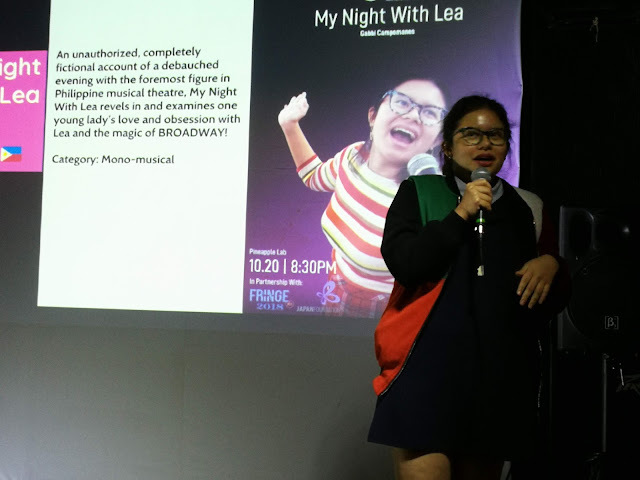 Emerging playwright Gabbi Campomanes is premiering a musical theatre called My Night with Lea. Actor and founder of SPIT Gabe Mercado also premieres his autobiographical one-man-show, Raising Gabe, about the triumphs and struggles of a single man raising a child in the Philippines. Rizal-based sculptor Herminio Tan, Jr. is doing exhibits about alternate reality about creatures and characters in Philippine Mythology share in the trials and tribulations of the modern Filipino in his exhibition of Mitolohiya 2018. Tickets for 1SA is available at TicketWorld (891-9999) or at ticketworld.com.ph. For more details and updates, like us on Facebook at facebook.com/FringeMNL or follow us on Twitter and Instagram at @fringemnl or visit www.fringemanila.com . Below are the festival schedules. Ang Pag-Uusig the return in CCP. Jon santos tie up with PETA for Trumperte. Introducing, “The Mega Tuna Barkada”. Guadalupe The Musical, our miracle in Theater. Kanser 2018, the latest take on Noli Me Tangere.